4k00:13Close up shot of head and shoulders of a meerkat, facing left, as it lays with stomach down in the sand. Its head is raised and it looks around in all directions. Steadfy shot. 4k00:09Si RACHA, THAILAND, JANUARY 11, 2018: Group of playful Meerkats play with each other at the Khao Kheow Open Zoo. Thailand. Meerkat family. 4k00:15Portrait of vigilant meerkat. (Suricata suricatta). 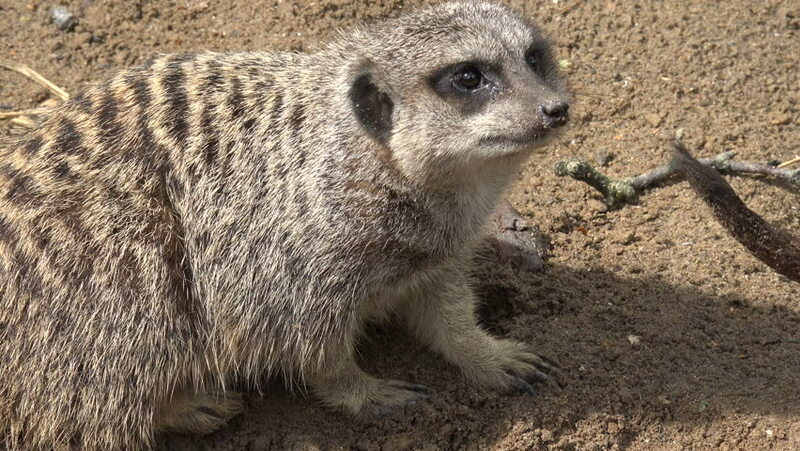 Close-up of a watching meerkat in all directions upright and looking directly at you. hd00:30Portrait of vigilant meerkat. (Suricata suricatta). Close-up of a watching meerkat in all directions upright and looking directly at you.Slow motion. 4k00:08Close up of Meerkat on all fours raising and lowering head.